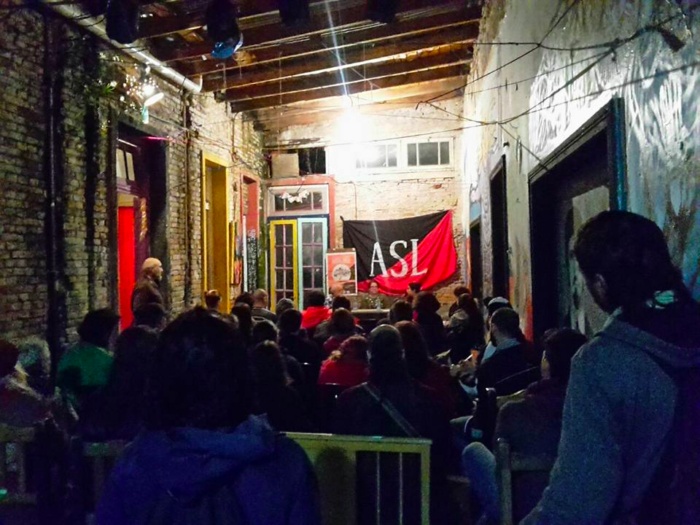 Educational forum on anarchism held by ASL in Buenos Aires, Argentina. 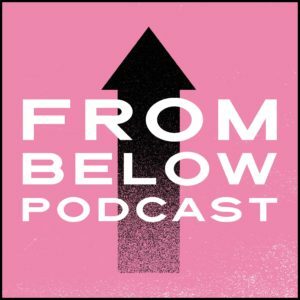 In that sense, we take three central and transversal axes of our current as distinctive elements: classist, feminist, and libertarian practice. [4, 5] Our base-building tries to develop disruptive and democratic elements, tries to prioritize consciousness instead of disputes over the mere formal direction of popular organizations. 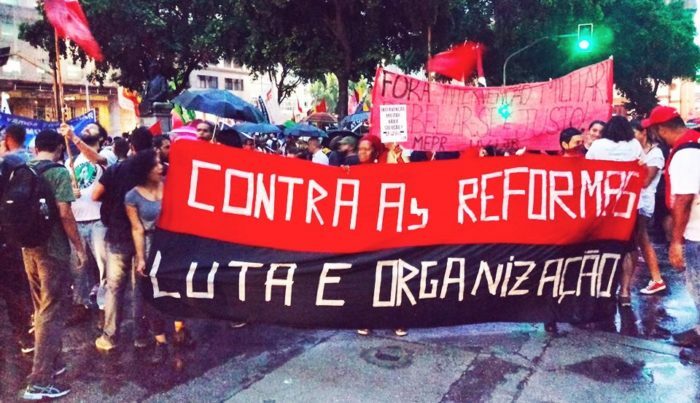 Another important element is the pedagogical notion of direct action on the path of building a Direct Power of the People, enhancing the political practice of our class. 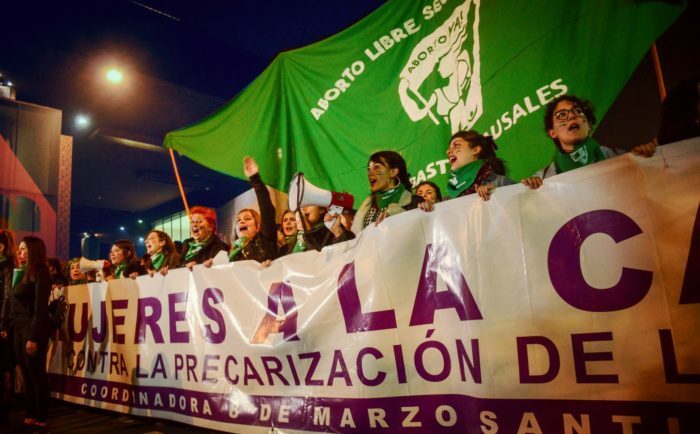 Coordination of popular militancy as a pedagogical and dynamic space of our popular insertion— advocating political independence of grassroots organizations, but working to enhance all that is classist, feminist, and libertarian in its midst. Promoting the defense of popular rights and freedoms and, at the same time, prefiguring in concrete and tangible practices the society for which we are fighting. 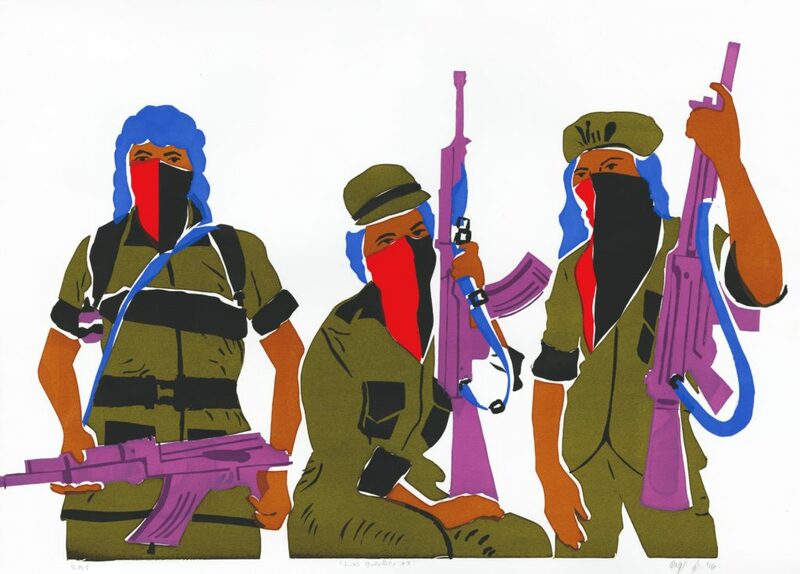 Defining common tactics and strategies of the different militancies and coordinating our militancy in the sense of developing People’s Direct Power as a tool of rupture with the current capitalist, patriarchal, and state order. Development of libertarian militants: We understand this as something dynamic and with diverse angles— political practice with certain values ​​and feelings; theoretical training through debates, readings, and workshops; the range of our responsibilities in political and social organizations; debates with other political currents; the production of propaganda and the dissemination of materials, etc. Strategic debate of our specific tasks: We don’t see this as separate from the characteristic levels of development within the social organizations where we participate or where we build. Objectives such as the self-activity of the masses, self-government of the workers, or class independence are not formal or rhetorical questions. We must link them to the work of social movements today. The other aspect is our questioning of bourgeois democracy and the need to articulate an Extra-Parliamentary Political Alternative that serves as a reference point for social movements in struggle, the women’s movement and dissidence, the classist currents among the workers’ and students’ movement, etc., and a political coordination with an agenda of intervention within different currents of the revolutionary, libertarian, and autonomous left. We cannot develop a radical and political critique of the instruments of consensus of the bourgeoisie if we accept their game outright. Special thanks to Samantha Neuhaus who provided copy editing for this article. 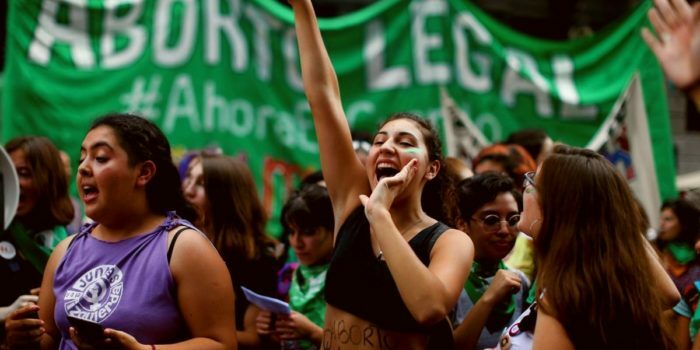 For the first part in this series, “Libertarian Socialism in South America: A Roundtable Interview, Part I, Chile,” Part III is coming soon.